Let’s just get the technical jargon out of the way. What is an internet forum? 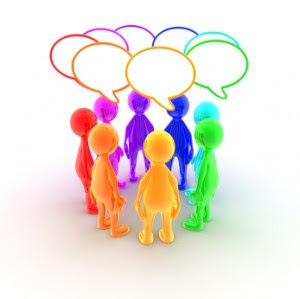 A forum is an online discussion site where people can hold conversations in the form of posted messages. Do you want to chat about cooking? There’s a forum for that. Want to ask questions about your car that’s making a clicking noise? There’s a forum for that. I personally love forums… get to hear from real people and their experiences. I have a son with special needs and I get so much information from other parents out there on forums! My husband is a fantasy basketball buff… and he’s found forums out there just to talk fantasy sports. PHP sees the great value in forums and in 2007, we started one. People from all over the world have found a great place to ask questions and to hear back from other pool owners and from our owner. Our forum about pool heaters may not be as ‘happening’ as say, creating your own personal man-cave, but its still an informative resource to get YOUR needs met. Thought I’d pass this on… if you’ve come across our blog and want a place to ask questions that pertain to your specific situation, I hope you’ll visit our pool heater forum. We enjoy chatting with new folks! And no worries – you won’t find any ‘trolls’ on our site… they are off visiting the man-cave forums.